LOS ANGELES -- Homeowners with a Bank of America mortgage have good reason to check their mailbox. The lender said Tuesday that it has begun mailing out letters to customers who may qualify to have their home loans reduced as part of a multistate settlement over alleged foreclosure abuses. The Charlotte, N.C.,-based company estimates that more than 200,000 of its customers could potentially be in line for a reduction in the principal balance on their mortgage. Some customers could receive letters from the bank as early as this week that invite them to provide financial information as part of a review process for the program. The bank plans to have mailed out most of the letters by the end of the third quarter. Bank of America estimates that customers who end up receiving the loan modifications will save, on average, 30 percent a month on their mortgage payments.Among the criteria to qualify, borrowers must owe more on their mortgage than the property is worth, and be at least 60 days behind on payments as of Jan. 31. 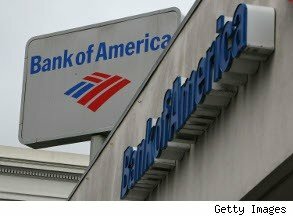 Bank of America will reduce the amount owed by the homeowners by as much as $100,000 in some cases. And only mortgages that are currently owned by Bank of America will qualify. Those that are owned by government entities Fannie Mae and Freddie Mac, or backed by the Federal Housing Administration, will not be eligible. The lender said it began reducing the principal balance on mortgages in March, focusing initially on homeowners who already had a loan modification bid under review. Under this initiative, the bank said it has mailed 5,000 trial modification offers, representing potentially more than $700 million in forgiven principal balances. Bank of America Corp., Wells Fargo & Co., JPMorgan Chase & Co., Citigroup Inc. and Ally Financial Inc. agreed to a $25 billion settlement with 49 state attorneys general and federal officials in February. Most of the settlement is earmarked for reducing loans for about 1 million U.S. households that owe more on their mortgages than their homes are worth. About 11 million American households are "underwater" on their mortgages, meaning they owe more than their homes are worth. The broader settlement is expected reduce loans for only about 1 million of those Americans and send checks to others who were improperly foreclosed upon. Of the five major lenders, Bank of America's penalties were the highest: $11.8 billion. The settlement ended a painful chapter of the financial crisis, when home values sank and millions edged toward foreclosure. Lender abuses exacerbated the crisis. Many companies processed foreclosures without verifying documents. Some employees signed papers they hadn't read or used fake signatures to speed foreclosures, a practice known as robo-signing. In the fall of 2010, Bank of America along with other large lenders temporarily halted foreclosures after a furor over robo-signed documents.